Simply put, wow! This card is simply impossible to locate in such high-grade and represents the single finest example we've had the pleasure of brokering in our long tenure. To date, Beckett has graded 177 examples with only twenty being awarded the '9.5' designation. 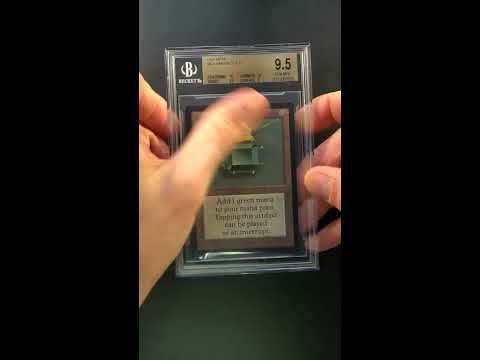 Of the 5 Beta Mox's the Emerald is by far the hardest one to find in 9.5 Gem Mint condition. There are Just 20 Gem Mint Copies, where as the other 4 Mox's there are over 30 of each. It's also the only Beta Mox to never have received a pristine 10. On top of that, with a print run of just 3,300 of each rare card being produced, and the vast majority being played/damaged, this card is far too rare to ever satisfy the demand. 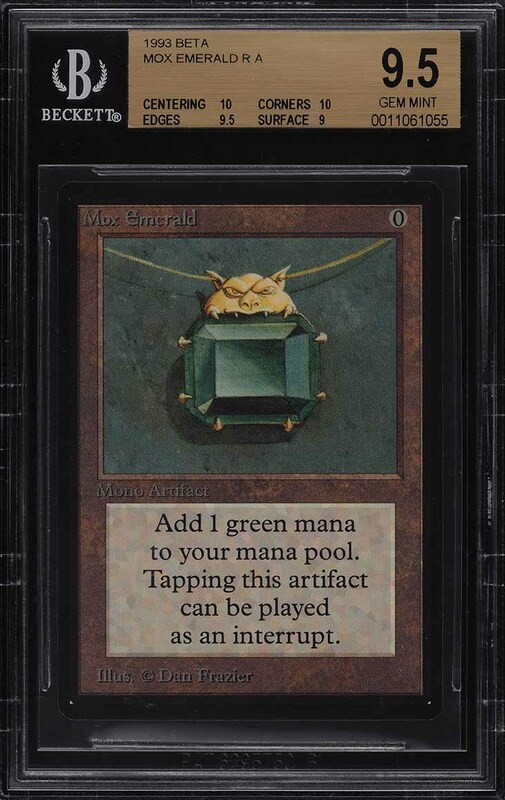 One of the original five Mox's, the Mox Emerald is a member of the coveted power nine and widely regarded as one of the most powerful cards ever created. A perfectly centered masterpiece which boasts untouched corners along with keen edges and dark borders. Shows high-gloss with vivid color and a tremendous illustration by Dan Frazier; the original artist of all five Moxes. All told, this card is just amazing. 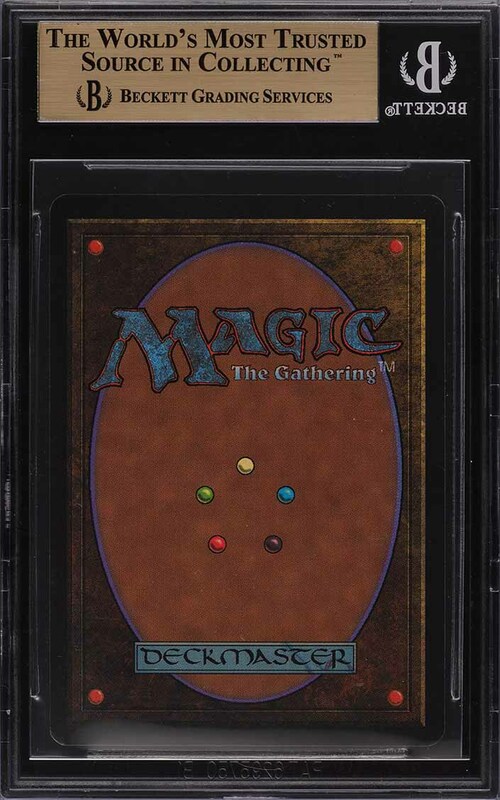 Easily on the short list for top tier non-sport investment pieces, this card represents one of the finest magic cards to ever hit the public auction block. A truly incredible offering that should not be missed. Comes with PWCC's highest recommendation. Part of a magnificent run of high-grade Magic The Gathering examples on the auction block this month. One of nearly 15,000 cards, lots, and sets up for bid in our 4th Auction of 2019. Click on the link above to view the other PWCC auction lots. The PWCC Vault is now live! Open a PWCC Vault account and receive a custom Vault shipping address. Purchases shipped to the Vault receive free shipping and reflect Oregon's 0% sales tax rate.